If you let the rain stop you from getting out and about in Seattle, you may never get anywhere. 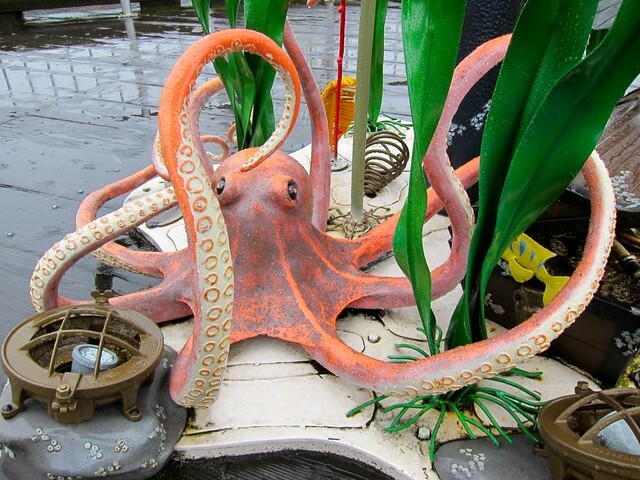 I wandered along the wharf area around Pikes Place and discovered this sea themed sculpture. There are more sculptures and vistas along the wharf and it’s usually much less crowded than Pike’s Place Market. Hee hee – he’s kind of cute, isn’t he? he sure adds color to a rainy day.